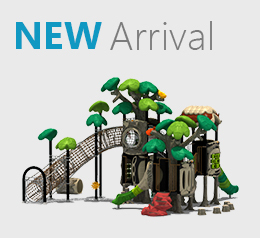 Laminated archs have the power to make any playground a salubrious treat for the eyes. 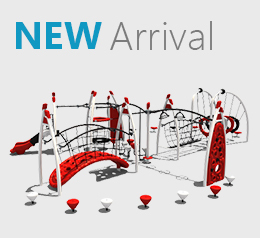 With ingeniously carved surfaces and astounding state of the art design, the laminated solid arch series by Creative Recreational Systems, Inc. endow playgrounds with a superbly structured shade. 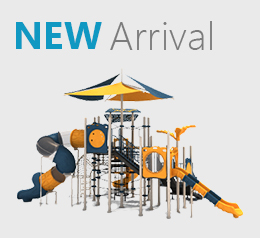 The company offers various shade structures that can easily fit any play setting. The best selling shade structures of the company include Series 2000 Rectangular Solid Arch, Series 2000 Solid Arch Dutch Hip, Series 7100 Rectangular Solid Arch Hip, Series 1800 Laminated Solid Arch Hex and Series 2300 Laminated Solid Arch Sqr. A sudden waft of chilled air or an unannounced downpour should not stop children from doing what they do in the playgrounds. 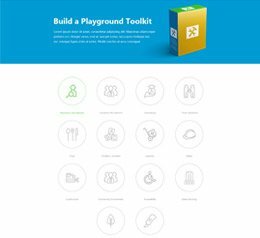 We at Creative Recreational System, Inc. understand the importance of an unstructured and structured play activity in the playgrounds, . So to make sure that nothing gets in the way of active play, we offer a collection of sturdy laminated shelters that easily cover up ample play area. Our renowned series includes Series 1300 Laminated Hexagonals, Series 7900 Laminated Squares, Series 7200 Laminated “Stretched” Hex and Series 1600 Laminated Octagonals. 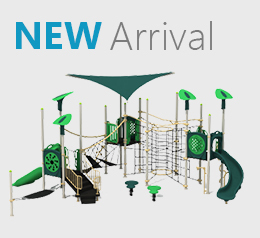 The distinct variety and the astonishing architecture of the shelters make it a perfect match for any kind of play areas. 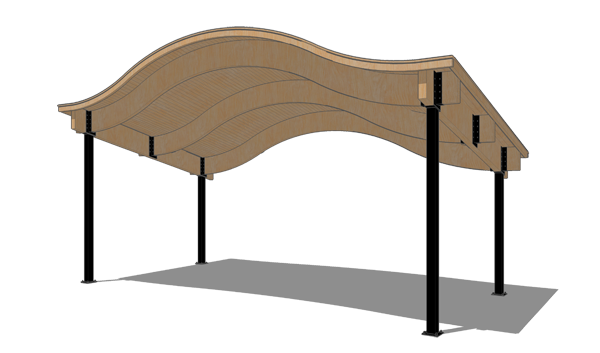 Laminated Curved Beam Rectangulars are a collection of shade structures offered by Creative Recreational Systems, Inc. The anatomy of the laminated structures comprises of high quality materials that give the constitution a refined finish. The fiberglass shingles and wood handrails along with Southern Yellow Pine T&G roof decking, metal roof and steel columns promise a long lasting value. One of the popular item of the series is the 1700 Curved Beam Gable End & Dutch Hip. 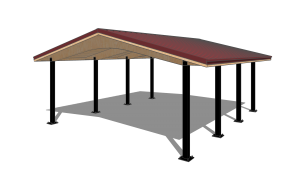 Rustic series shelters are a collection of awe-inspiring shade structures that come with a promise of a lifetime durability. The all-weather resistant shelters are architectured with fiberglass and Cedar shingles that stay in their original shape and color for longer. The most popular rustic series shelters include Series 1400 Woodland Gable, Series 2400 Woodland Dutch Hip, Series 1500 Timbercraft Gable, Series 2500 Timbercraft Dutch Hip, Series 1000 Wood Mini-Shelters, Series 1200 All-Weather Shelters and Series 1100 Barbeque Shelters. A shaded walkway can make a pleasant playground feature and with garden gallery pergolas by Creative Recreational Systems, Inc. you can now revamp any conventional play setting for a pleasant visual boost. With all-steel Raritan Bay Curved Beam and Round Banded Steel/ Quad-Steel Columns, the pergolas offer the best possible bargain. Our renowned garden gallery Pergolas include Series 9710 Raritan Bay, Series 9710 Raritan Bay, Series 9780 Boulevard, Series 9760 Arborview, Series 9750 Centennial Series, Series 9730 Senn Park, Series 9770 Town Square, Series 9720 Raritan Bay Duo-Top and Series 9740 Riverwalk. 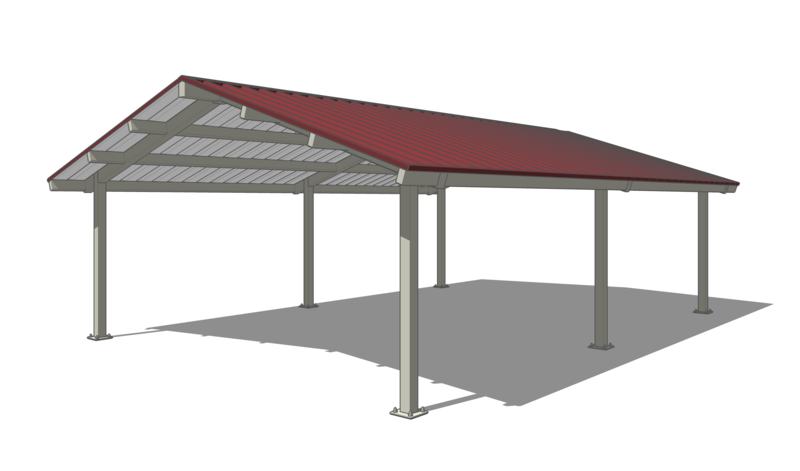 Creative Recreational Systems, Inc. brings a range of performance shelters that are known to provide sturdy structures that make a perfect shade for any conventional play setting. The maestro series comes with steel handrails, Steel Beam shelter, gable opening, ornamental lattice, seam metal roof and Western Red Cedar roof decking. The Maestro series offers Laminated Waved Beam, Summit Series, Cambria Series, Laminated Rainbow Arch and Monterey Series. A trendy Gazebo can be a perfect way to augment the look of a playground. With our astounding range of custom colonial Gazebos, you can now boost the appearance of any play area that needs a little restructuring. 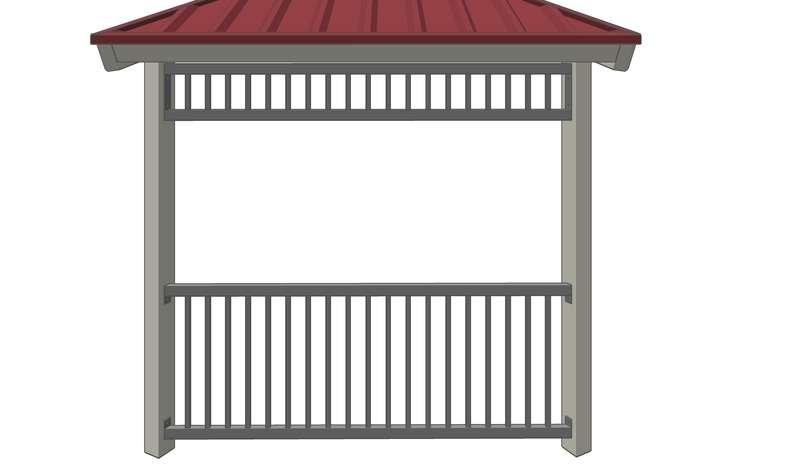 The gazebo series is scrupulously devised with white Litch-Kicker steel columns, cedar railings & lattice, fiberglass shingles and wind braces. We also offer Gazebo’s with cupola and Southern Yellow Pine T&G roof decking. Our best Gazebo series include Series 7300 Stafford, Series 2900 Pagoda, Series 7800 Kingsford, Series 7500 Coloniall, Series 7000 Deerfield, Series 1900 Brentwood, Series 2700 Resorter and Series 2800 New Englander. 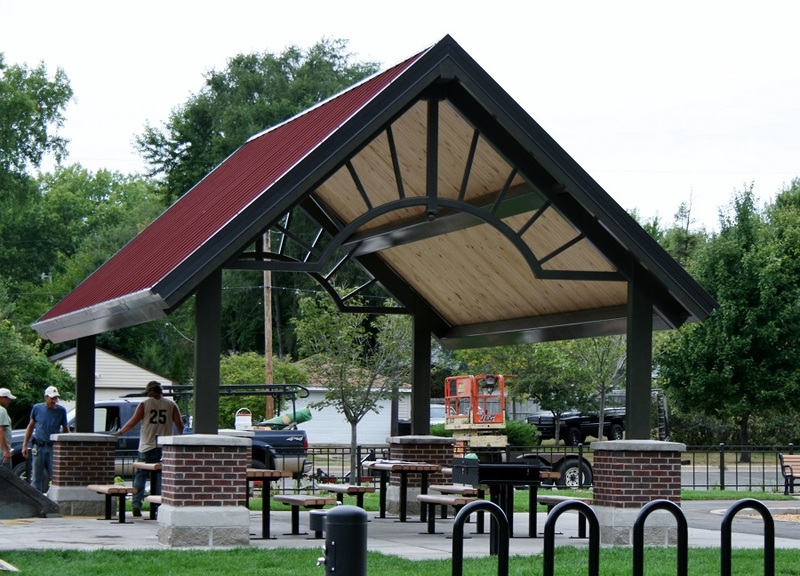 Pittsburgh & steel beam shelters are one of the classiest series ever introduced in the category of playground shelters. 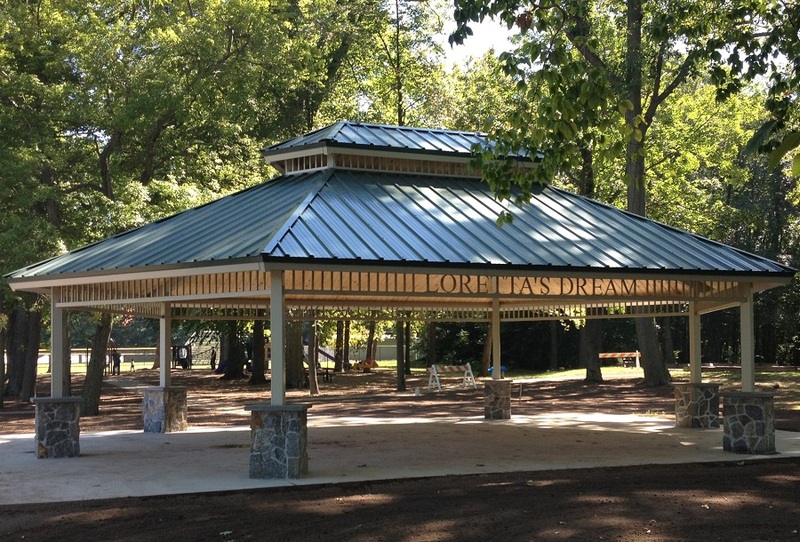 Ingeniously designed with ornamental laser-cut lattice, sturdy framework, column masonry, custom Litch-Kicker surface finished and custom overhang soffit, the shelters provide state-of-the-art design that lasts a lifetime. Our best selling shelters in this category include Series 8100 Squares, Series 8000 Hexagonals, Series 8500 Octagonals, Series 8300 Gable Ends, Series 8200 Hip Ends, Duo-Top & Tri-Top Options, Series 2200 Classic Eights, Series 9000 All-Star Sports Shelters, Downtown Series Bus Stop Shelters and Litchfield Mini-Shelters. Taking a trip to the park can always be a fun and enjoyable experience. Yet when the heat becomes just a little too overbearing it can turn fun in the sun, to a not so delightful day. This being said, one great way to provide children with a fun spot to play, and a cooler area away from the sun, is to install a shade structure. By installing a shade structure you are not only preventing your child from being exposed to possible sunburns or other abrasions but have you ever stopped to consider the heat of the metal that your child is about to grab, or play on. When the sun is bearing down its hottest in the late afternoon from about 2 to 5 p.m. the temperature of the playground equipment itself can cause serious skin burns leading to an unwanted trip to the hospital. Attachments such as the metal chain on a swing, or metal bars and configurations can pose a serious threat to the safety of your child once the sun starts to bear down on them. Installing a shade can prevent all of these hazards. The playground equipment is not the only thing that can become overheated, but your child can too. Being as active as they are, it is not too difficult for a child to overheat especially during a hot summer day when the weather reaches its peak temperatures. The fun does not have to stop once a shade structure is put into place. 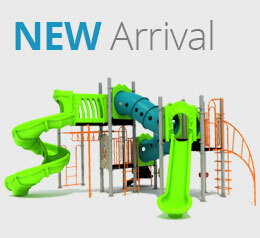 The children can stay cool and continue to play on the now safer and cooler playground equipment also. There must be some planning that must take place prior to the installation of a shade structure onto a playground. Take into account that the shade structure must not only fit in the current equipment, but leave a little leeway room for the children to gallivant about with ease, so that no injury can occur through things like tripping over the base of the shade. There are three elements to first consider, one being the height. The height of the shade must accommodate the height of the equipment yet still be able to factor the children into the equation. 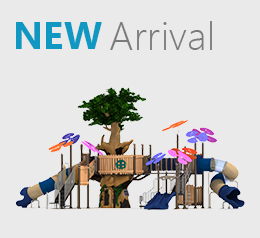 Meaning that the structure must be tall enough to cover the playground set at its highest point, as well as cover the child once they are standing upright. Another component to think about next would be the length. How far-reaching is the shade going to be. It must house the children properly by letting them have some leeway to play. Lastly, the width of the shade is also a crucial part. Are the children able to run through freely? How wide is it going to be? The answer to both is that they should be able to, and wide enough to fit the equipment and the children alike. Installing a shade does not have to be a daunting task. The efforts and time taken to install the shade structure will be worth it in the long run, to ensure the safety of the children who play on the playground. 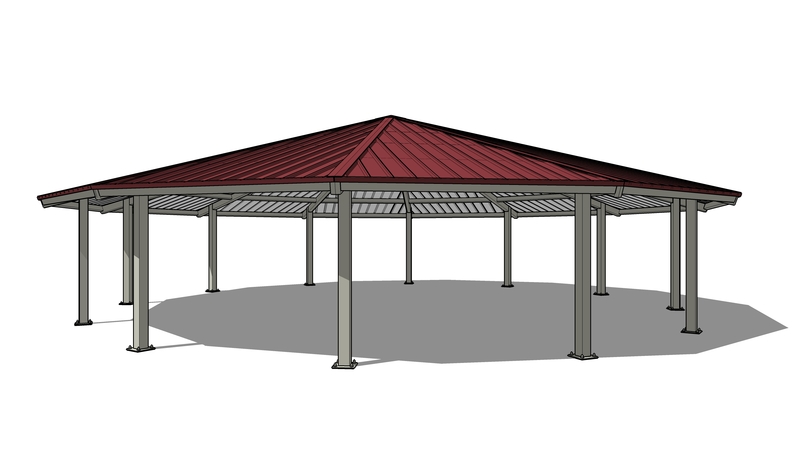 If those three factors are added into the equation there should be no problem when it comes to successfully placing the shade structure.